2018 Fast-Growing Firms lists the most prominent AV integration firms in the AV industry – they’re growing through acquisition, new markets & more. 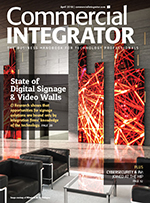 When we launched our annual Fast-Growing Integration Firms coverage last year, our goal was in part to offer a dose of optimism to an AV integration market that seemed to sip from a half-empty glass. The conversations seemed to always be about struggles — the difficult shift to selling more managed services and the obstacle of AV integration firms instilling confidence in customers’ IT-centric purchasing decision makers. Times have changed. The AV industry seems to be infused with optimism. In our 2018 State of the Industry Report, we predict that the AV integration industry will grow by 9 percent in 2018. Maybe it’s a survival of the fittest effect with so many traditional AV integration firms either being acquired or disengaging from the AV industry. But many of the companies still fighting the fight seem to be winning. 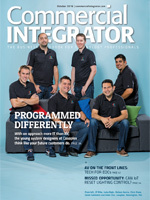 An impressive 82 integration firms applied to be considered for our Fast-Growing Firms coverage. You’ve got some familiar faces such as AVI-SPL and Whitlock — large firms at the top of the revenue scale that continue to grow leaps and bounds. 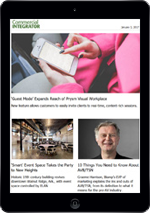 Indeed, the premise of our State of the Industry Report was that the largest companies at the top of the market keep getting larger and creating more space between them and the industry’s small-and medium-sized AV integration firms. However, many of those small-and medium-sized firms are reflected on our list of Fast-Growing Firms. 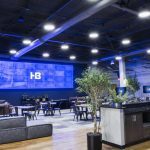 HB Communications, based in Connecticut, made this year’s list of Fast-Growing Integration Firms. 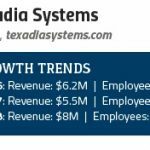 Some of them, like Austin, Texas-based Felix Media Solutions are on the list not so much for their dramatic growth — although projected 50 percent revenue growth in 2018 from $3 million to $4.5 million is nothing to scoff at — as for their momentum. It’s an AV company that was built “coming out of careers in IT” and finding serious traction with AV purchasing decision makers that happen to work in IT departments. These 18 Fast-Growing firms represent both the diversity of the AV industry and the shared challenges of companies of any size looking to grow — and scale. They also represent AV integration industry optimism. Note: CI’s selection of Fast-Growing AV integration firms was based on companies that responded to our calls for information related to this program. It’s not intended to be an all-encompassing list.